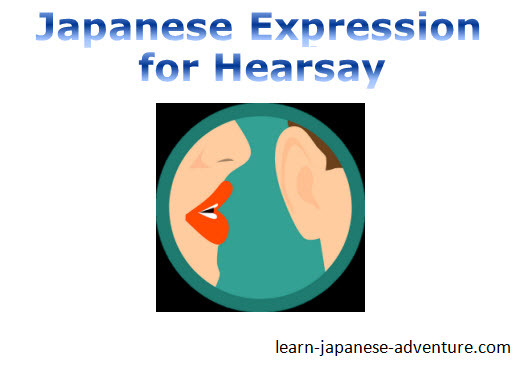 The Japanese expression そうです (sou desu) that you will be learning in this lesson is used to convey the message that you obtained from another information source, either you have heard from someone or you have read it somewhere. Meaning: I heard that ~. Note: Plain-form means the word before "sou desu" can be verb, i-adjective, na-adjective or noun, all in plain-form. 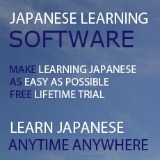 In this Japanese expression, take note that your own opinion is not included in the information that you are conveying. tanaka san wa iimasu. "kyouto wa totemo kirei desu." Meaning: Ms Tanaka says: "Kyoto is very beautiful." Meaning: Ms Tanaka said that Kyoto is very beautiful. ～と言っていました (~to itte imashita) is using the quotation that you have learned in lesson 27 of the basic lesson, except that in this situation, the speaker who you are quoting from is absent and you are quoting what she has said in the past. Meaning: I heard that Kyoto is very beautiful. Meaning: According to Ms Tanaka, Kyoto is very beautiful. Meaning: According to Information source, I heard that ~. The difference between ～と言っていました (~to itte imashita) and そうです (sou desu) is that the former is used to quote what another people had said. Whereas the latter is mostly used when the information source is unclear and you are just stating what you have heard or read. You are also not sure whether what you have heard or read is true or not. Meaning: According to weather forecast, it's going to rain tomorrow. Meaning: According to magazine, the summer of Spain is hot. Meaning: According to Mr Suzuki, Mr Yamada was not feeling well yesterday. Meaning: According to the news, Olympics will be held at London in 2012. Meaning: According to the Newspaper, there might be a big earthquake in Japan next year. 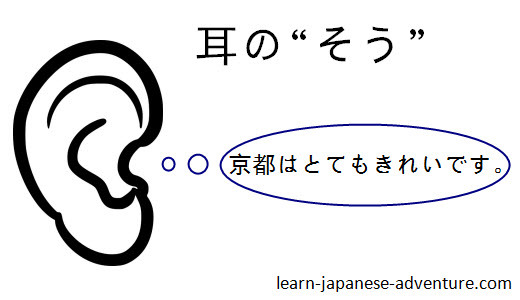 Note: In this example, you need to remove the でしょう (deshou) in front of そうです (sou desu). You cannot put words like でしょう (deshou), らしい (rashii) or ようだ (youda) in front of sou desu. Meaning: I heard that Mike lived in America when he was a child. Meaning: I heard that Mr Chin is going to Hokkaido tomorrow. 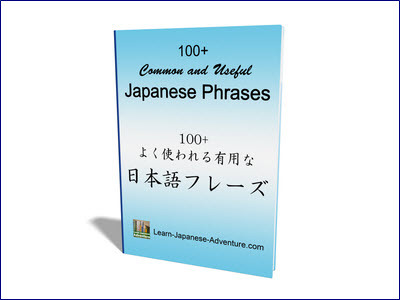 Sometimes, the Japanese expression そうです (sou desu) you have learned in this lesson is called 耳の"そう" (mimi no "sou") since the information is something you have heard or read from another source. 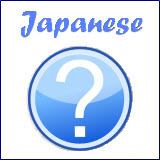 I will introduce another expression 目の"そう" (me no "sou") in future lesson which is used when you are guessing from something you have seen.